FEB 3, 2012 NOTE – This article is OLD. This article describes the four candidates actually seeking the nomination, and Green Party Watch is covering the campaigns daily. Talk about 2012 and who might be a good Green Party standard bearer as the Presidential Nominee really began in earnest about one month before the 2008 election concluded. So talking about it now, in the summer of 2010, isn’t really out of line or out of place, and perhaps is overdue. So what are the goals of running a national Green Party candidate for President? Winning the White House seems to rank low thanks to the reality of the duopoly in US Politics. So what, then? Five Percent might be brought up, because if a presidential candidate gets five percent of the national vote that political party is eligible for millions of dollars in support of the next presidential nominating convention, but more than that, the percent received by the candidate can impact ballot access in a number of states, Texas, Iowa, Illinois and Wisconsin just to name a few. Another major goal often brought up is “party building”. A national candidate for President can travel the land raising money and recruiting volunteers for local chapters everywhere. Nader did it. Cobb did it. And McKinney did it as well, bringing new people into the Green Party fold, some of whom are now candidates for federal office or have taken leadership positions within the party. So who might be a good Green Party candidate for President? Lets explore the topic by “type” of candidate. This group of candidates would include those who have a well known name for themselves in the public eye – the bigger the better. It is all about name recognition, but perhaps at a smaller scale. Lets face it, Nader was a “name candidate”, Cobb was not. McKinney was. Van Jones is close, but I would class him more as an “issue candidate”. Celebrities fall in this category, such as: Michael Moore, Amy Goodman, Susan Sarandon perhaps, Ben Affleck (or is it Matt Damon? ), and any other famous person who wants to risk their career by taking the “Green Cause” to the political scene. My first choice for a “celebrity candidate” at this point would be Woody Harrelson, tied into the “Issue Candidate” category below for his Cannabis Activism. This category would include those candidates who are big activists on a narrower issue. 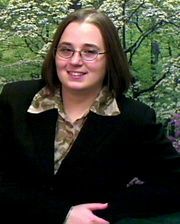 Margaret Flowers is a universal heath care advocate. 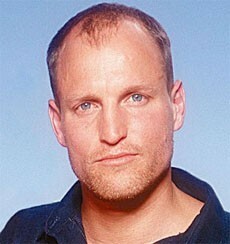 Woody Harrelson is a “legalize marijuana” advocate. Cindy Sheehan is an anti-war activist. Jesse Johnson is an anti-coal mining activist. 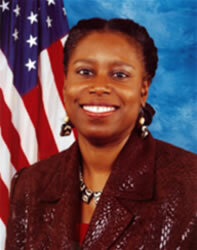 Cynthia McKinney in a way is a social justice candidate, with emphasis on Palestinian Liberation. Would an “issue candidate” help the party meet its goals? My personal favorite potential “issue candidate” is Kathy Kelly, an anti-war / peace advocate who is a wonderful speaker, I would love to see her at the top of our ballot. There is a case made for a Presidential candidate who is a political insider, an organizer within the party or a candidate for federal or state office who has done well. Kent Mesplay falls in this category, as does kat swift, and certainly David Cobb. What about Rich Whitney in Illinois? Jill Stein? Laura Wells? What about a party organizer like Mike Feinstein, Farheen Hakim, or Claudia Ellquist? Would a Green without national name recognition have any impact? Would a Green who had a broader package than a single issue candidate improve our returns? I think if the Green Party is going to consider an insider candidate, they would do well to tag someone who has run in high profile races and done well, who can speak well, raise money, and campaign. Rich Whitney, who got 360,000 votes for 10% in 2006 would be a leading candidate, and I would also bring attention to Jill Stein, who got over 3% of the vote running for Governor of Massachusetts in 2002, Medea Benjamin, who brought in over 300,000 votes running for US Senate in California in 2000, and Rebekah Kennedy, whose 200,000 votes in Arkansas in 2008 for US Senate brought her 20% of the vote. Who will the Green Party recruit? Who will the Green Party attract? Will McKinney run again? Will there be another Draft Nader campaign? And if a Green is elected President in 2012, will the world still end as per the Mayan Calendar? The Green Party (US) Annual National Meeting is just over a month away, July 23 – 26, at North Carolina Central University in Durham, North Carolina. The schedule is still being prepared for workshops, plenaries, etc., including potential speakers. Some names have been suggested here and there including Cynthia McKinney, Rosa Clemente, David Cobb, Jesse Johnson, and Mike Gravel. Who do you think would be a great speaker to speak at the Green Party’s Annual National Meeting in Durham, NC? What should they speak about? What are the driving issues facing the Green Party in the US right now, and who do you think can speak most effectively to those issues? Considering that the primary (and perhaps only) audience for this are the Greens that are going to the ANM, who do you think can speak to the Greens and effectively re-mobilize and re-energize the Green Political Movement in America? Who would you go to Durham, NC to see, listen to, and perhaps even talk to, if they were on the docket? And finally, are you going to Durham, North Carlina for the National Meeting? Sure, I’ll start since I asked the question.